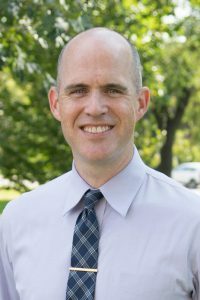 Before arriving at Asbury University in the fall of 2013, Dr. Kevin Brown spent four years teaching Business at Anderson University in Central Indiana. Prior to that, he worked for nearly a decade at Wells Fargo Bank, spending the last four years there as a market president. Brown’s formal education includes an undergraduate degree and an MBA from the University of Indianapolis along with two degrees from institutions in Scotland—an MA of Letters from St. Andrews University and a PhD from the University of Glasgow. Brown is married to Maria and they have three children. In his spare time, he enjoys spending time with family and friends, as well as reading, exercising and camping with his family. THESIS: Contemporary Theological Critiques of Capitalism and the Implications for the Christian Practice of Giving. Thesis marked as “High Merit” August 2008. Brown, Kevin J. An Inquiry into the Economics and Ethics of Residential Integration. Diss. University of Glasgow, 2011. Print. Brown, Kevin, and Michael Wiese. Work That Matters: Bridging the Divide between Work and Worship. Lexington, KY: Aldersgate in Collaboration with Emeth, 2013. Print. Brown, Kevin J. “Welfare and Well-being: Ethnic Diversity and Segregation in US Housing,” in The International Encyclopedia of Housing and Home, edited by Smith, SJ; Elsinga, M.; Fox-O’Mahony, L; Ong, SE; Wachter, S., Elsevier (in press). Brown, K. J. (2015). A Christian Conception of Markets. Franklin, TN: Seedbed Publishing. Brown, K., & Kinghorn, K. (2015). Chapter Two: The Theological Impetus for Social Entrepreneurship. In W. a. The Office of Faith (Ed. ), The Social Entrepreneur: The Business of Changing the World (pp. 15-26). Franklin, TN: Seedbed Publishing. Brown, K., Kinghorn, K., & Mucherera, T. (2015). Chapter Three: What Wesleyan Social Entrepreneurship Looks Like. In W. a. The Office of Faith (Ed. ), The Social Entrepreneur: The Business of Changing the World (pp. 27-38). Franklin, TN: Seedbed Publishing. Bosch, D., Brown, K., & Gill, M. (2015). Chapter Five: Getting Started with Social Entrepreneurship: How to Write a Business Plan. In W. a. The Office of Faith (Ed. ), The Social Entrepreneur: The Business of Changing the World (pp. 55-70). Franklin, TN: Seedbed Publishing. Brown, K. J. (2016). Designed for Good: Recovering the Idea, Language, and Practice of Virtue. Peabody, MA: Hendrickson Publishers. Brown, K. J. (2017). Navigating the Efficient and the Faithful: J’s Place. In J. W. Moon, Social Entrepreneurship: Case Studies. Digi-Books. Brown, K. (2010). The Economics and Ethics of Mixed Communities: Exploring the Philosophy of Integration Through the Lens of the Submprime Financial Crisis in the US. Journal of Business Ethics, 97(1), 35-50. Brown, K. (2012). Illusion, Reality, and the Pursuit of Justice. eSharp, 19, 182-202. Brown, K. (2013). A Neo-Rawlsian Approach to Residential Integration. Social Inclusion, 1(1), 72-83. Brown, K., & Stoddart, E. (2014). Viewing Mount Laurel from Mount Zion: Theological Reflections on Social Integration. International Journal of Public Theology, 8(2), 176-200. Brown, K. (2014, September). Capitalism and the Common Good: How to Gear the Free Market so that People Flourish. Christianity Today, pp. 60-64. Brown, K., & Wiese, M. (2014, August). Work as Worship. Christian Business Review, 24-30. Bosch, D., Brown, K., & Gill, M. (2015). Broadening the Business Discipline: Teaching the History of Business in the Faith Tradition. Christian Business Academy Review, 10(1), 21-32. Brown, K. J. (2015). Why Biblical Integration in Business. Journal of Biblical Integration in Business, 18(2), 87-88. Brown, K. J., & McMullen, S. (2017, July/August Issue ). Hope in the Humanless Economy. Christianity Today, 30-36. Brown, K. J. (2017, November-December). Finding Fulfillment. The High Calling, 3; 9. Brown, K. (2018). Augustine, Desire, and the Moral Significance of Preferences. Faith and Economics(71), 3-24. Brown, K. (2018). Revisiting the Moral Limits of Markets: An “Open Take.” Christian Scholars Review (Forthcoming). Brown, Kevin J. “On Markets and Morals—Helpful Perspective from Michael Sandel.” Rev. of What Money Can’t Buy: The Moral Limits of Markets. Web log post. There Is Power in the Blog. The Blog for Political Philosophy by Equinox Press, 28 July 2012. Web. <http://www.politicaltheology.com/blog/markets-morals-helpful-perspective-michael-sandel/>. Brown, Kevin J. Review of “How Much is Enough? Money and the Good Life.” By Robert Skidelsky & Edward Skidelsky. Faith and Economics, January, 2014. Print. Brown, K. (2014). Review of “Climbing Mount Laurel: The Struggle for Affordable Housing and Social Mobility in an American Suburb” by Massey et al. (G. College, Ed.) Faith and Economics, 64. Paper Presented: Values and Capitalism Faculty Retreat—Bonita Springs, FL, January 2016 (“What is Your Narrative: Human Purpose and the Future of Work”). Lecture: Hope College Department of Economics and Business—Holland, MI September 2016 (“Is Everything for Sale? Market Exchange through the Lens of Virtue and Faith”). Panel Presenter: Hope College Markets and Morality Group—Holland, MI, September 2016 (“Work and the Future of Automation”). Paper Presented: Values and Capitalism Faculty Retreat—San Antonio, TX January 2017 (“Civic Attributes in a Coming Apart Age”). Lecture(s): Summit Ministries Conference—Manitou Springs, CO June 2017 (Lecture #1: “Economics: What is it? Why is it Important?”; Lecture #2: “Economic Understanding and Faithful Action”). Lecture(s): Summit Ministries Conference—Manitou Springs, CO June 2018 (Lecture #1: “Economics: What is it? Why is it Important?”; Lecture #2: “Economic Understanding and Faithful Action”). Lecture(s): Summit Ministries Conference—Manitou Springs, CO July 2018 (Lecture #1: “Economics: What is it? Why is it Important?”; Lecture #2: “Economic Understanding and Faithful Action”).